Action Required Status on Request Center: We've fixed an issue where the status of a question you've responded to should now change to "Action Required" after a customer response and 15 minutes have passed. Get Ready for High Tax Season! It's Tax season! 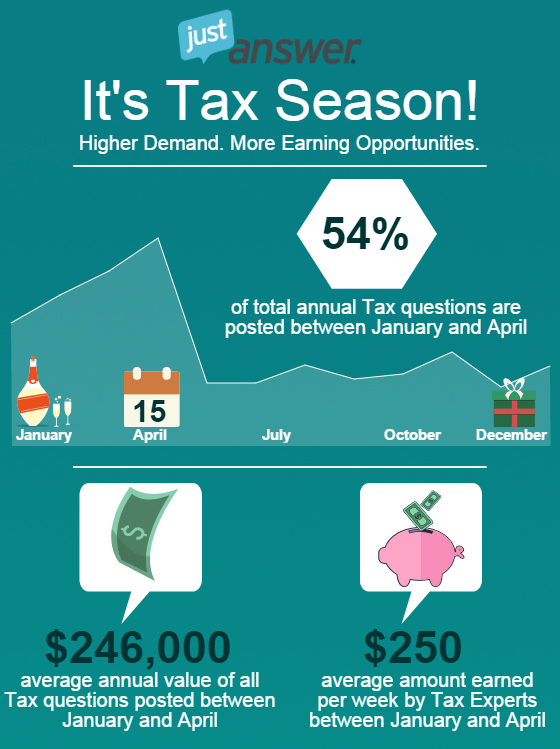 We're at the starting point of Tax season and we expect question volume in Tax to grow weekly until April. Help us meet customer demand while jumping at the opportunity to earn more!